The Resurrection Comes to Reno! In our first big event since the resurrection began, iNinja will roll into the Atlantis Casino in Reno, Nevada for a ten day series starting March 7th. The event will feature a host of unique events, big guarantees, and big giveaways from sponsors and iNinja to celebrate the biggest event in iNinja history! Highlights on the schedule include a $40,000 guarantee for only $280, a $100,000 guarantee for $500, two resurrection events, and a tournament in conjunction with the Western Senior Poker Series. A big bet mixed game will also be run, along with freeroll satellites into the main event! This amazing property has everything a player could need, from a beautiful poker room and excellent cash games, $4 per hour in comps, a great spa, world class restaurants and bars, and even a free shuttle from the Reno airport. We expect a big turnout for these events and look forward to big prizes and good times! The complete schedule is below. Players can preregister for the events with a credit card and get a free night in the hotel HERE. 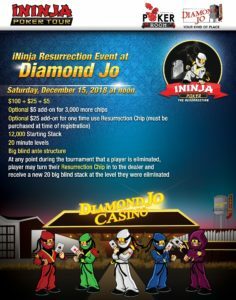 iNinja will visit Diamond Jo Worth casino in Northwoods, Iowa on Saturday, December 15th for a one-day Resurrection event. These events celebrate the relaunch of the tour with a special format. 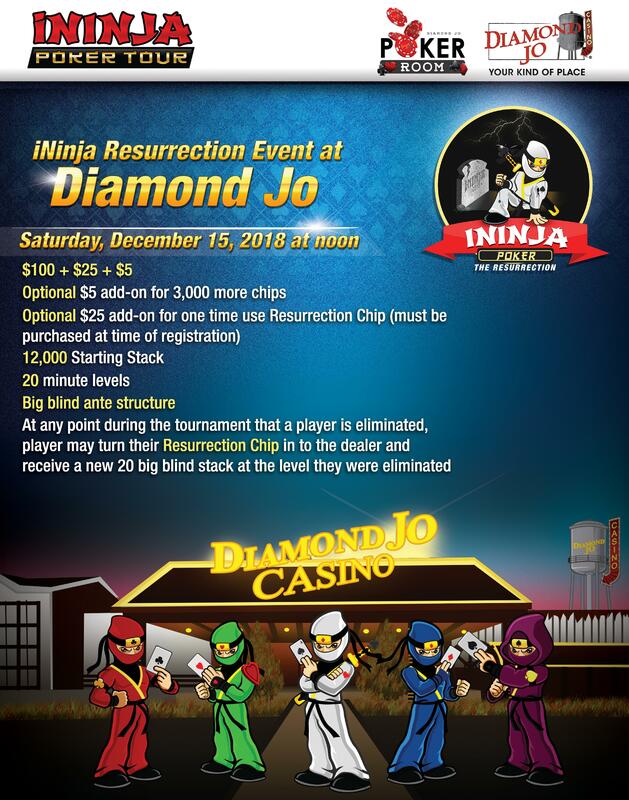 Each player will have the opportunity to purchase a resurrection chip for $25. When a player goes broke, they may turn in their resurrection chip for a new life! This grants them 20 big blinds at the level they busted. Now you can return from the grave just like we did! Read more by clicking the flyer below. The time for resurrection has come! 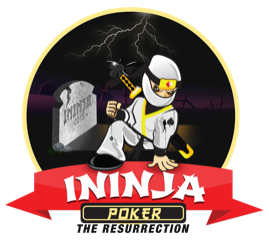 Welcome to the long awaited relaunch of iNinja Poker. Read our press release below and follow us on twitter and facebook for more information in the coming weeks. Chris “Fox” Wallace and Brian Soja of Next Level Poker Tours, LLC announce that they have acquired the iNinja Poker Tour brand. 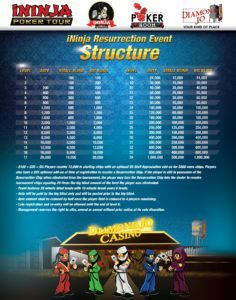 Next Level’s reboot will start with the launch of the “iNinja Resurrection” tour, which will bring back the popular iNinja Poker Tour brand with a new line up of card rooms and two completely new and unique tournament formats. The new tournament series will focus on bringing in new players and creating fun environment for amateur players. Utilizing its highly successful format of low buy-in, multiple starting day events the tour will continue to create big prize pools with huge fields. 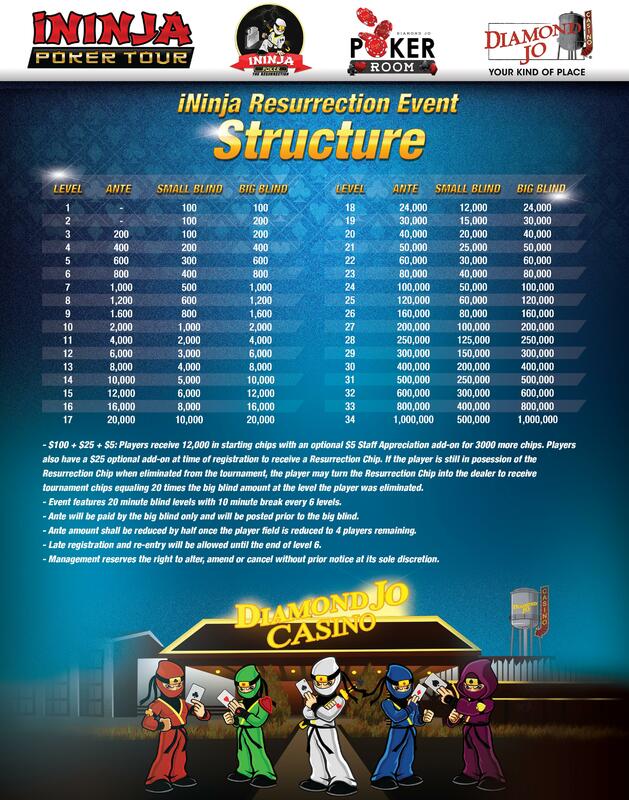 The Resurrection Tour will also feature entirely new ninja-themed tournaments including “The Resurrection” event. Why resurrect iNinja? Wallace explained, “People loved playing them! iNinja broke attendance records in Iowa and Minnesota, and never missed a guarantee. It’s a light-hearted, tongue-in-cheek theme; everybody likes ninjas and all players want to be assassins at the table.” The tour skyrocketed from nothing to a force to be reckoned with in the Midwest, awarding over two million dollars in its first two years and drawing record fields at a number of venues. Wallace started Next Level Poker after being a poker pro for fifteen years. “I wanted to start a tour that has integrity and transparency. Something that would make casinos, sponsors, and players happy. We work with the card rooms to hit their individual goals and offer them options that fit their market.” Events are already in the planning stages and should be announced in the coming months.